PPA car audio has a number of specific products to suit Commodore VE series 2 and we also have some generic products that will suit a number of Holden Vehicles. PPAcaraudio’s navigation product has the latest maps(2012) and is software upgradeable. 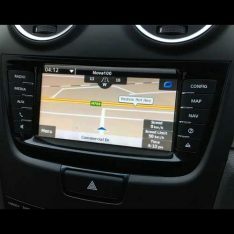 Your Commodore VE series 2 will be even more of pleasure to drive with PPAcaraudio’s navigational product, while GPS has been out for a number of years now it is easier to use than ever before as it has never been more integrated than in this application. PPAcaraudio’s Nav has 2012 maps, so they are the latest, plus with 2 years of updated included come 2014 you will still have the latest Maps! Don’t be stuck with old out of date maps.